Another Borough Market trip today. I am still in love with this place as there is always something new to find and eat. In this incarnation of a Borough Market visit I was able to make two rather awesome discoveries. The first was that there is a (possible permanent) German food store very close to the market. Also, there is a cheese that is described as the Devil’s Suppository (more on that in a sec). I was very happy to see that the salt stand that I usually just walk past without paying attention to it (what?) 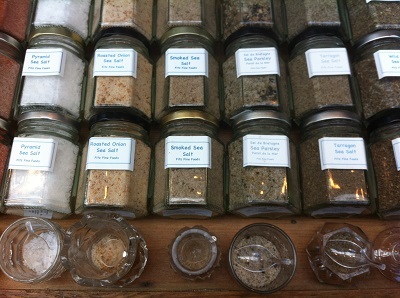 offered free samples of their salts, vinegars and mustards. The fact that two of these were the remaining salts from my food list just sweetened the deal. 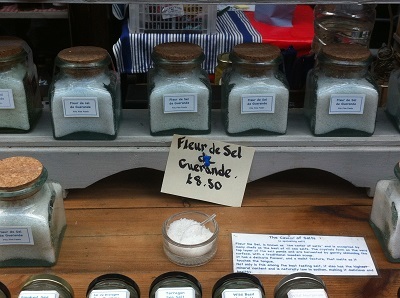 The first that I tried was the expensive Fleur De Sel De Guerande. One thing that I really liked about it was just how coarse the salt was. It meant that whilst there was still the salty hit I would expect (I mean, it IS salt after all) there was also more of a mineral taste that I would associate with mineral water. I can imagine this being really nice on chopped tomatoes. Talking about a Ronseal deal here – the smoked sea salt. 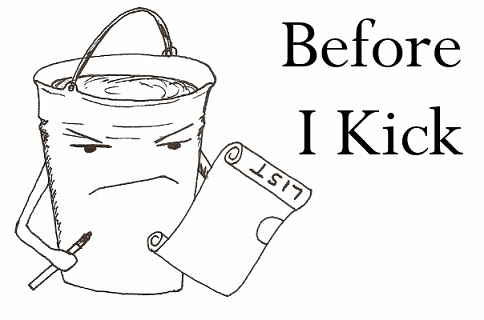 I mean, it’s smoky salt. What else is there to say about this. I mean, I would love to get some and use it in some cheese-based dishes. Okay, so there is a lot of food here (mostly cheese) and this made for a ridiculously fatty (and delicious) dinner. Let’s start with the healthier one. The borage flowers. On their own they tasted earthy and slightly bitter in the same manner as watercress. With some of the other foods in this fatty dinner the borage flowers somehow started to taste oily, as if they were suddenly deep-fried in batter. Weird. Then there was the very orange Mimolette Vieille cheese. It tasted like a marriage of Gouda and Edam if they then went on a honeymoon to France and got a spray tan. It’s just that orange. It has the creaminess of Edam, but the texture, nuttiness and maturity a fan older Gouda. Like a lot of hard cheese, don’t eat the rind, It isn’t that nice. The quarter circle cheese in the picture is the Munster. It’s a tangy cheese with a slight taste of ash, as if you are eating a block of cheese with fireworks detonating all around you. 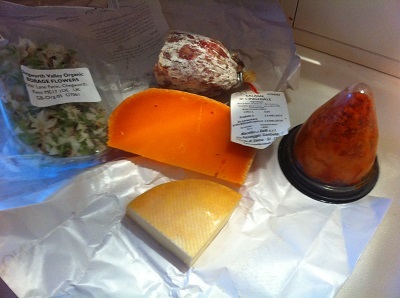 For the most part it was rich and nutty, but not as nice as the Mimolette. The meat on offer was a Salami Di Cinghiale. It was chewy. Very chewy in fact. Weirdly so since it just began to fall apart after being cut. The sweet and gamy taste would mean that it would be gorgeous in a tomato and red wine pasta sauce, but it was a bit too expensive to cook with. As I ate it I could really detect notes of black pepper and fennel. So this leaves me with the Boulette D’Avesnes cheese. If you look at the picture it is the red cone that looks like it is being housed in a see through plastic buttplug. It is no coincidence, therefore, that this is the cheese that was given the nickname of The Devil’s Suppository. One of the sellers actually gave us a warning about this cheese when I went to buy it, telling me that it was a very strong cheese and that it was spicy. Like I said to him: I see nothing wrong with this sentence. We left this cheese to the end since we knew how strong it would be. The smell of the cheese was… not great. To me it smelt like phlegm, to my partner it reminded him of a certain type of diarrhoea (I wanted to ask him about how many types there was, but I thought better of it). It smells weird, but how does it taste? Well, it’s pretty much an assault on the senses. At different points I made notes of the taste of the same mouthful and it went in this order: heat, creamy, pepper, creamy, bitter, herbal, heat. All of this meant that, despite my better judgement, I really liked this cheese. I just need to remember that, should I encounter this cheese again, not to waft it under my nose. So, it’s pretty clear that I am going to overshoot 700 before I get to Japan. Oh well, I’m not exactly broken up about this fact.